The Geneva Historical Society will host two meetings in January to solicit community input on a facilities expansion project. The meetings will be held at 7 p.m. on Wednesday, January 17 and at 10 a.m., Saturday, January 20 at the Geneva Historical Society, 543 South Main Street. 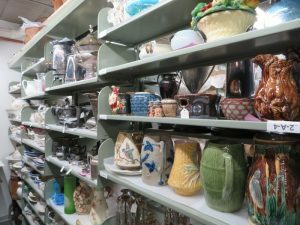 In recent years, staff at the Historical Society have implemented several temporary solutions, including being more selective in accepting items into the collection, re-organizing the archival collection space, and deaccessioning objects that do not meet the Historical Society’s mission. 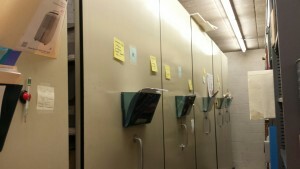 The Collections Storage Task Force was divided into three subcommittees. Each subcommittee explored a possible solution to the storage problem. One explored expanding the Prouty-Chew House, home of the Historical Society’s offices, the Geneva History Museum, and the majority of the Historical Society’s collections. A second subcommittee looked at building a storage facility on the grounds at Rose Hill Mansion. The final subcommittee investigated leasing, buying, or building a facility in Geneva with the possibility of selling the Prouty-Chew House. After identifying, vetting and passing on over 35 buildings and potential build sites, this subcommittee determined the third option was not viable. Over the past year, Beardsley Architects and Engineers in Auburn completed feasibility studies exploring expansion at Rose Hill or the Prouty-Chew House. These studies will be shared and discussed at the January meetings.The Historical Society is seeking community input on its plans and both meetings will be open to the public. For further information about the meetings or the collections storage planning process, please contact Kerry Lippincott at 315-789-5151 or director@genevahistoricalsociety.com.